Kent Ambler has been at it again, his newest Woodblock print is a larger and a more colorful than some of his other works. These are the birds that gather in his yard up on the mountain just below Asheville. We have framed this piece beautifully to accentuate all the wood grain and texture that shows up in Kent’s work. It is also available unframed…just ask. We hope you will peruse our website of all our inspirational artwork and pottery, and visit when you are here in downtown Asheville. We at American Folk give thanks for the beauty from all angles that we experience here in the gallery daily. Amazing artistry and creativity abounds; lovely appreciative clientele who become friends all coming together to find a place of spirit, peace and goodness. If you have questions or would like to purchase something simply call 828-281-2134. We are here Monday – Saturday 10 – 6 and Sundays NOON – 5. Within the pages of our website and the walls of the gallery, you will see a variety of selectively curated contemporary self-taught artists. Painters, Whittlers, Carvers & Potters, American Folk presents makers from South Louisiana all the way to Massachusetts with one goal in mind: To expose the world to the creative powers and originality of our regional artists. Their visions bring life, color, joy and complexity to our gallery and to your home. Self-taught art ranges from what is referred to as primitive all the way to exquisitely contemporary. All of our artists are living and working today, some have garnered world wide attention, some are exclusive to American Folk….all have a unique way of expressing their world & their hearts. We are inspired by them every day…. Thank-you for your interest & enthusiasm. We love the artists we represent & we love you for helping to support them, which, in turn, allows them to continue to explore & create…. 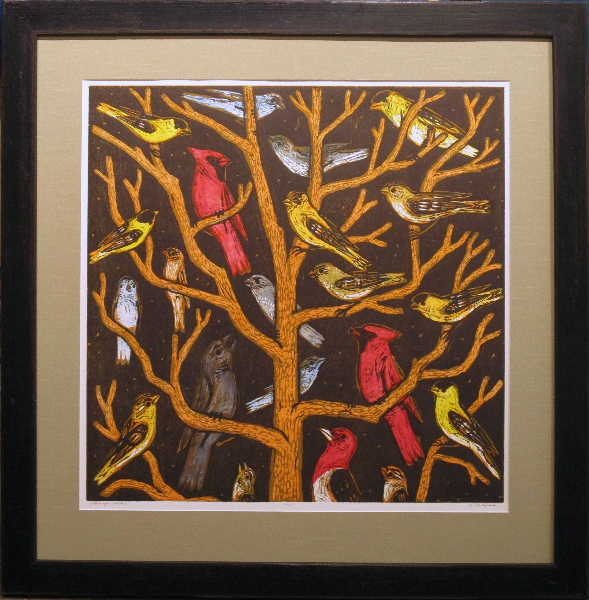 For more information or to purchase artwork, call us at 828-281-2134 or email us at folkart@amerifolk.com. We are OPEN, year round, 7 days a week, Monday – Saturday 10 – 6, Sunday Noon – 5. Call us on the phoneCall Us!